There are many different types of leafy vegetable that are used in Thai cooking. Here we have selected some of our favourites for you. "Pak Choi Seeds packet of"
Pak Choi or Bok Choi is an Asian member of the cabbage family that has a delicious light, sweet flavour and crisp texture. It consists of long, thick, white stalks, topped by intensely blue-green leaves. 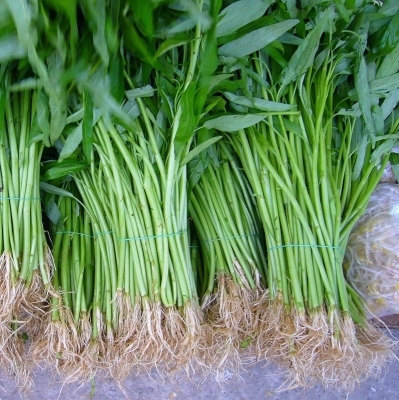 China's most popular vegetable is used raw or cooked in Thailand from any stage from seedling to mature plant and can be used as a “cut and come again” vegetable. The flavour is sweet with a hint of mustard. It is used to enhance everything from soups to stir-fries and can be eaten young in salads or left to mature and used in stir fries. Pak choi goes well with the flavours of soy sauce, hot peppers, and toasted sesame oil. It is used in won ton soup and chow mein. Young flowering stems can be used like broccoli or as a substitute for spinach. 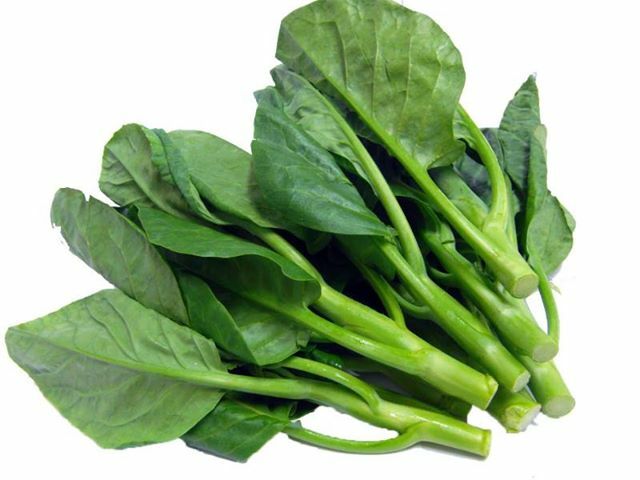 Nutritionally, like most leafy green vegetables, it is a good source of iron. It is also high in vitamin A, vitamin C, and calcium. Sowing: Can be grown all year. 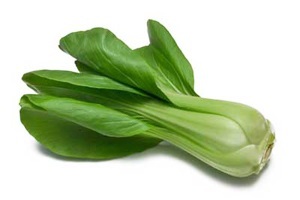 Pak choi is a cool-season crop typically grown in autumn and early winter, though in warmer climates harvest can continue well into winter.These green stemmed varieties withstand adverse conditions than white stemmed forms. Some protection is required for winter harvesting. Phasing the sowing will extend the cropping period. Sow thinly, direct into finely raked, moist, weed free soil 6mm (0.25") deep in rows 30cm (12") apart. Thin the resulting seedlings, leaving the strongest, by degrees to a final spacing of 20cm (8") apart. Tending: It is important to water well in dry weather and to keep well weeded. Provide a weak liquid feed once a week. It needs to be grown quickly and the roots must be kept moist. Checks to growth, brought on by overcrowding or drought, will cause plants to bolt. Harvesting: Plants reach a stage for ’baby leaf’ harvest in 28 days and mature plants take around 50 days. Chop off enough of the base of the pak choi plant before washing so that stalks can be cleaned individually. 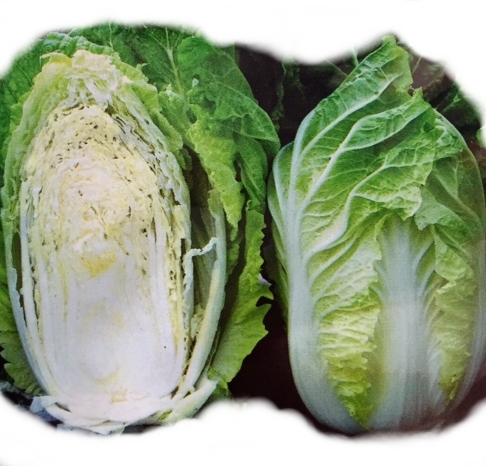 "Leafy Chinese Celery Seed Packet"
Chinese Leaf celery is the type that is used in Europe. 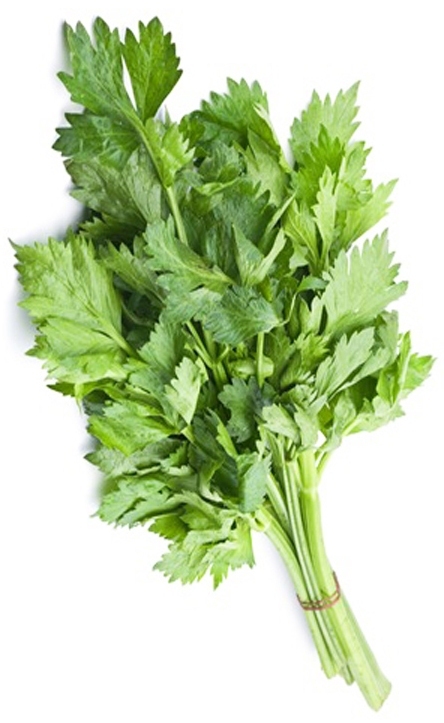 It looks similar to parsley but tastes exactly like regular stalk celery, but with a slightly stronger, herbier taste. It is a darker green, with thin, rounded, flexible stalks and curly, aromatic leaves; it is much easier to grow than its "big brother". Great for container gardens and small herb gardens. the celery is used and taste just like its giant cousins but only gets 20 - 25cm (8 -12”) tall and very leafy. It is a cut-and-come-again plant and grows back beautifully. No blanching is required. The leaves are best eaten while tender it can be used like an herb. Great in dressings garnish soups. Stews and salads, pies and stuffings or any recipe where celery leaves are used. There are 3 different kinds of celery plants; normal (sometimes called blanched or bleached) celery, leaf celery and celeriac (sometimes called celery root). These are all three related, and will cross pollinate if grown next to each other. Sowing: Sow in Spring from February to June. Germination can be erratic and the seed is best surface sown indoors or in a greenhouse. Outdoor sown seed rarely germinates satisfactorily. Start the seeds indoors no sooner than 2-3 months before your last frost date. Leaf celery is a bit finicky to get started but once transplanted into the garden, it is very easy to grow. It will take around 85 days from sowing to first harvest. Sow into flats or modules containing a good quality well drained soil. John Innes seed mix or similar. Surface sow, do not cover as they need light to germinate. Water from the base of the container, never directly on top of the seeds. Germinates in 2 - 3 weeks at 15*C (59*F). The seedlings should be transplanted when they have their first set of true leaves and are still small. Cultivation: Leaf celery is not frost tolerant so only plant outdoors once all risk of frosts has passed. Full sun or partial shade suit them equally well, and although they are fairly tolerant of drought, don't plant them in very dry places and water when dry. Harvesting: Leaf celery takes a little while to germinate and grows somewhat slowly, but once you get it going you can keep cutting from the same small patch all season. A couple square feet is plenty for a small family. Storage: For use over winter months place cut pieces in an ice cube tray and freeze. It may also be dried by hanging upside down in a well-ventilated area. Companion Plants: The growing plant is an insect repellent, it repels the cabbage white butterfly so is a good companion for all brassicas. A good companion for leeks, onions, tomatoes, French beans and brassicas. Chinese Cabbage is also known as Chinese leaves in some recipes. The vegetable variety has pale, tightly wrapped leaves. They are succulent with a crisp, broad, white ribs and a rather delicate and mildish sweet flavour. The leaves can be cooked like cabbage, stir-fried or served raw in salad in Thai cooking. Sowing: Can be grown all year. Chinese cabbage is typically grown in autumn and early winter, though in warmer climates harvest can continue well into winter. Phasing the sowing will extend the cropping period. Sow thinly, direct into finely raked, moist, weed free soil 6mm (0.25") deep in rows 15cm (6") apart. Thin the resulting seedlings, leaving the strongest, by degrees to a final spacing of 20cm (8") apart. "Pak Ka Na, Chinese Kale"
Packet of Chinese Kale, Phak Ka Na Vegetable , sometimes vcalled Chinese Brocolli seeds. A dark green leaf vegtable with strong,thin long round trunks with flat, glossy soft deep green delicate leaves,It does not look or taste like common greens, it has a slight sweet & bitter taste, The taste reminds of Broccoli, the stacks are wonderfully crunchy. Delicious stir fried boiled or steamed. Plant kale as soon as the ground can be worked, very frost tolerant. Sow ¼-½” deep, 1” apart in rows 18-30” apart. Thin seedlings to 8-12” apart. Kale germinates easily in cool or warm soil temperatures with even moisture. Choose an area with full sun and a soil pH of 6.0-7.0. Enrich the soil with compost or well rotted manure. Flavour of kale is improved if the plants grow quickly. Kale benefits from additional feedings of liquid fertilizer during the growing season.